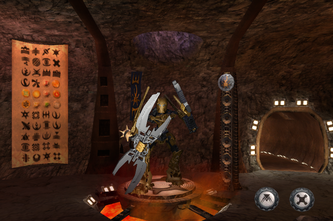 Offline version provided by Gatanui. 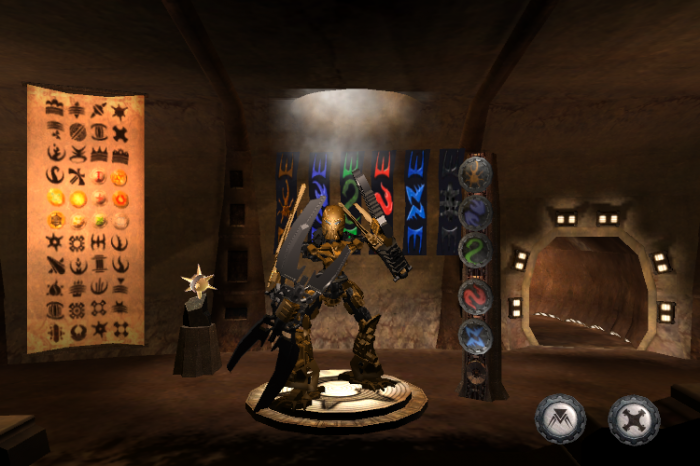 Released on 16th September 2009, the Glatorian Arena 2 game is the sequel to the Glatorian Arena game. 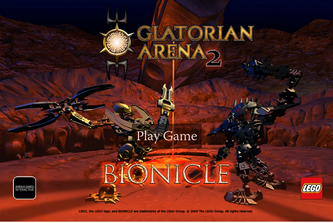 It replaced Glatorian Arena on the LEGO servers and continued the milestone of the prequel with new features and characters, working as the prequel with the new Unity3D browser plugin. 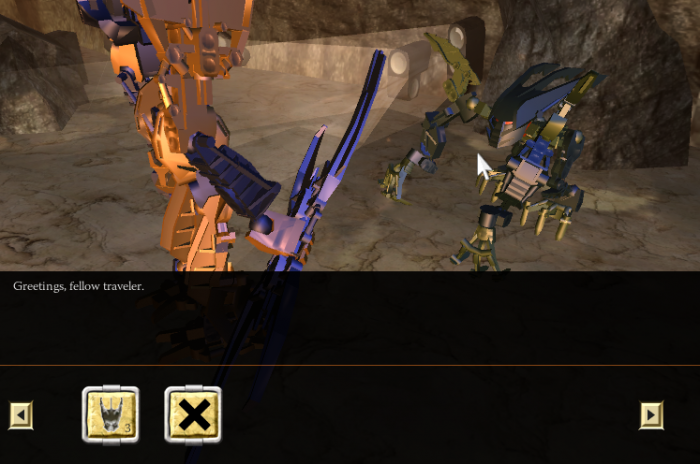 Unity3D and thus also this game were characterized by excellent quality 3D graphics and fast speed. 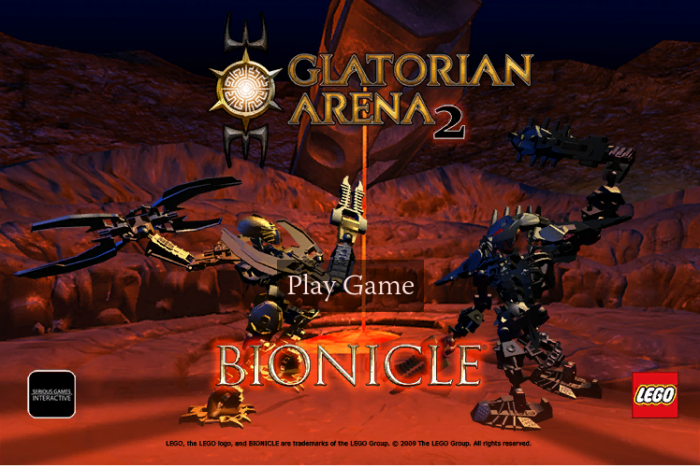 In this game, the player takes control of one of the six Glatorian Legends sets Mata Nui, Kiina, Ackar, Vastus, Gelu and Stronius released in summer 2009, the magnificent Arena Magna and the Vulcanus Arena from the BIONICLE: The Legend Reborn movie. 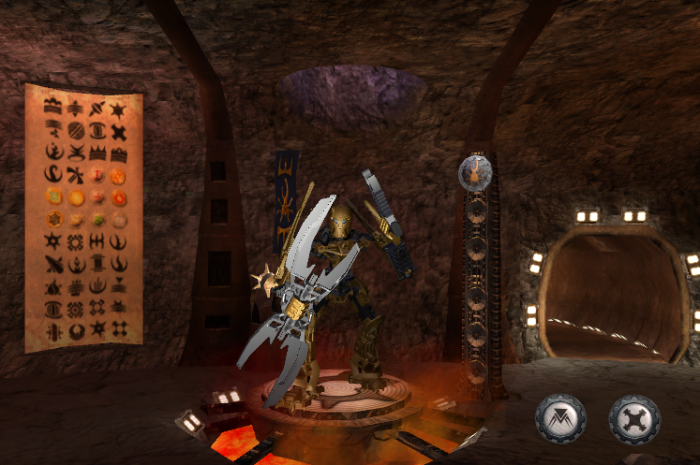 The game consists of four modes: the Navigation Area with background music by RockBand CryoShell, where one chooses the game mode, the Glatorian Legends and handles controls, options, Glatorian Legends skills, stats and awards. Additionally, B.I.O. Codes from the Glatorian Legends packages can be entered to unlock them. 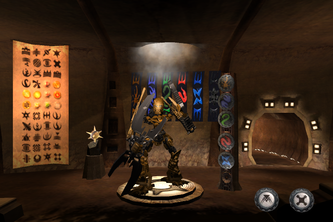 The other three are the Vulcanus Arena, in which one chooses a Glatorian Legend and fights through six leagues, defeating all other Glatorian Legends sets, the Arena Magna (unlocked by reaching the Veteran League in the Vulcanus Arena and talking to all Agori in the outskirts) where one challenges one of the six Glatorian sets Gresh, Tarix, Malum, Strakk, a Vorox and a Skrall in the Arena Magna and finally, the Outskirts Area, where one walks around with their Glatorian Legend in the Vulcanus Arena outskirts and talks with the Agori. The Spikeball Game from the prequel was removed for its difficulty. Unfortunately, the offline version does not save your stats automatically, for which you should play the online version. Controls: Keyboard (Arrow keys, A, S). 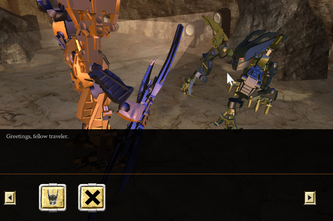 Controls can be adjusted in the game. Requirements: Unzipping software (WinZIP, 7-Zip, StuffIt Expander), Web browser, Unity 3D browser plugin. Unity 3D browser plugin required (see Technical Details).